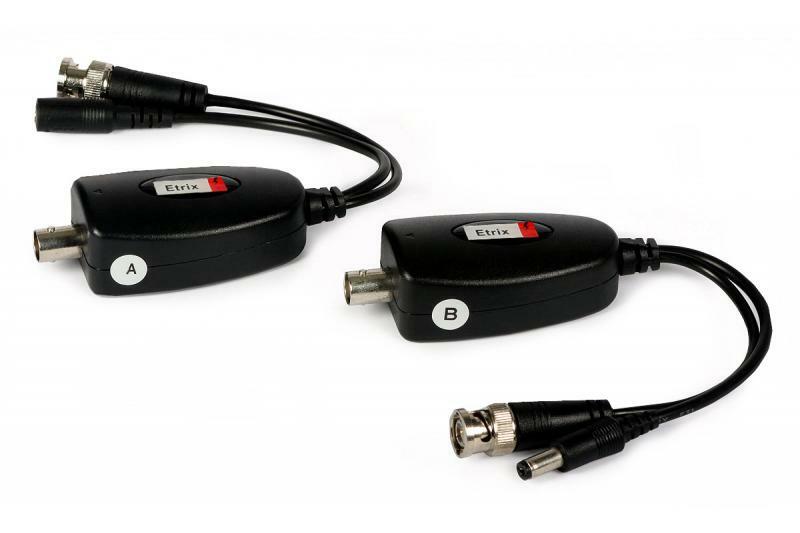 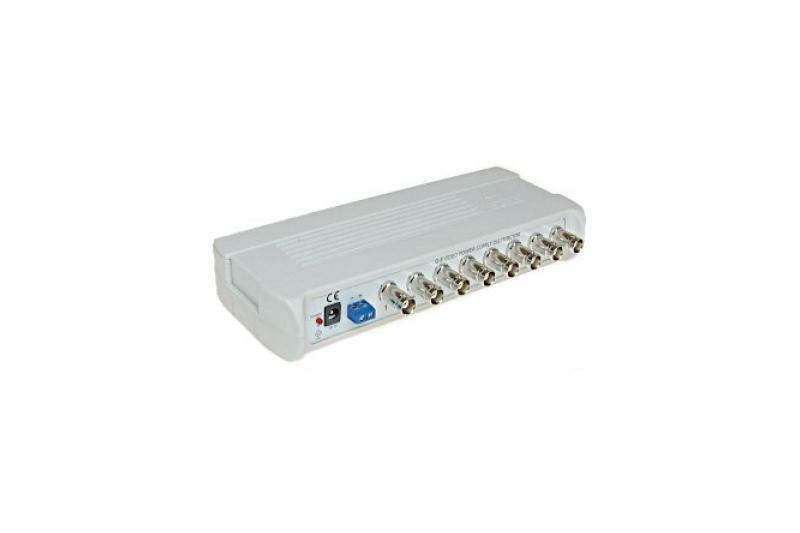 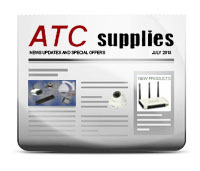 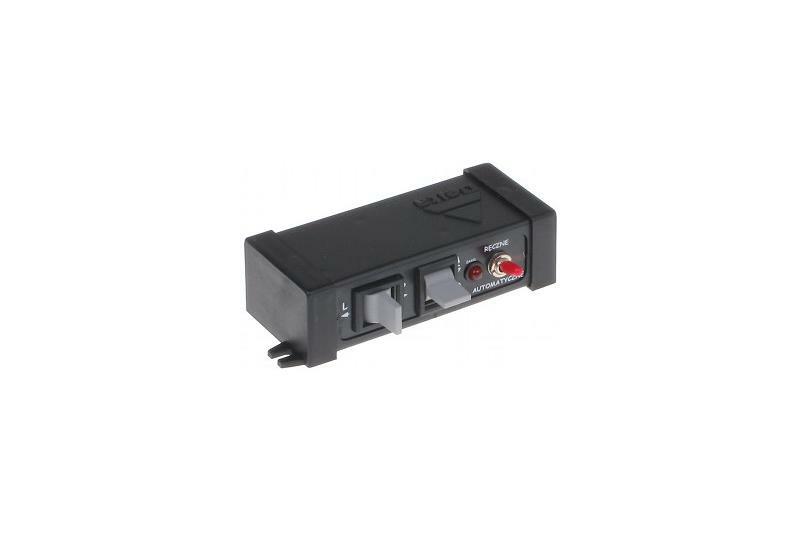 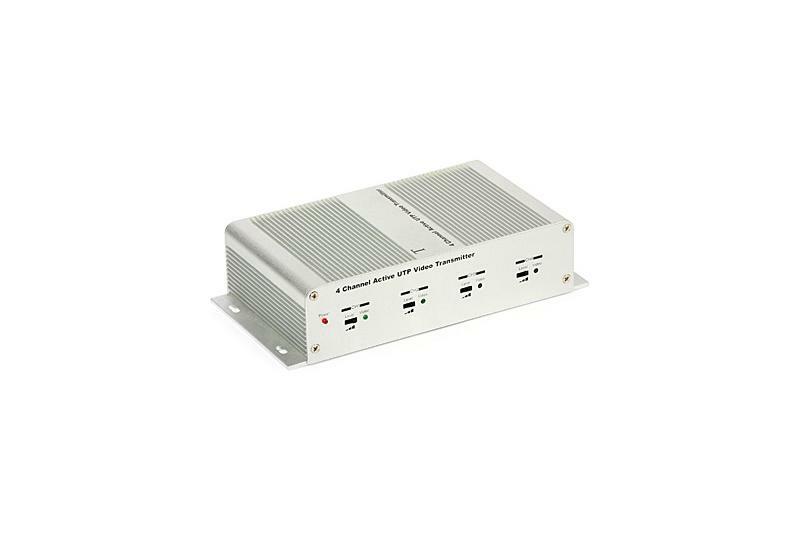 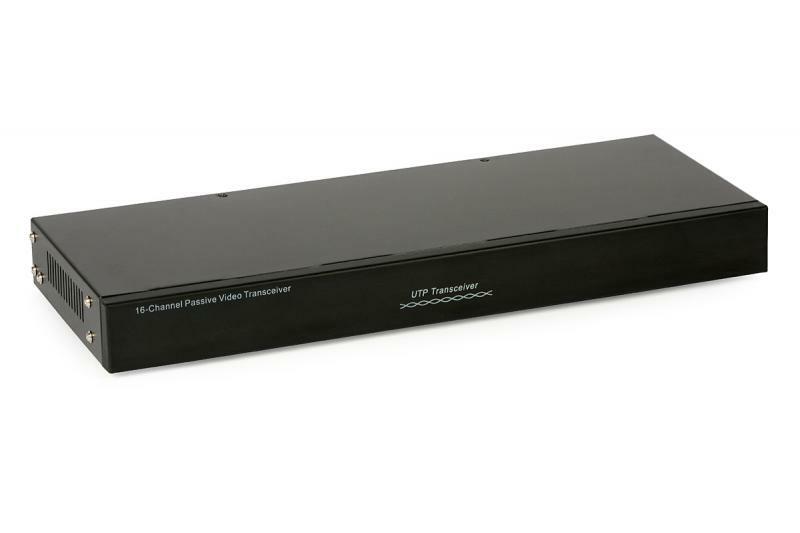 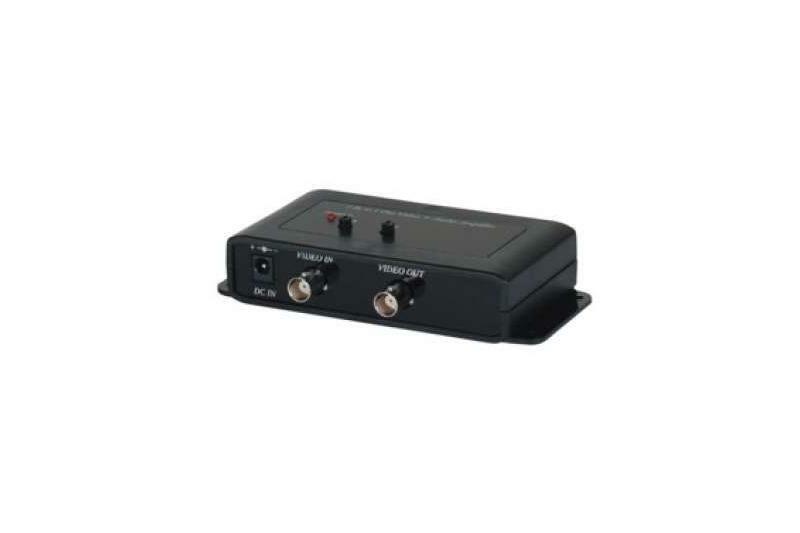 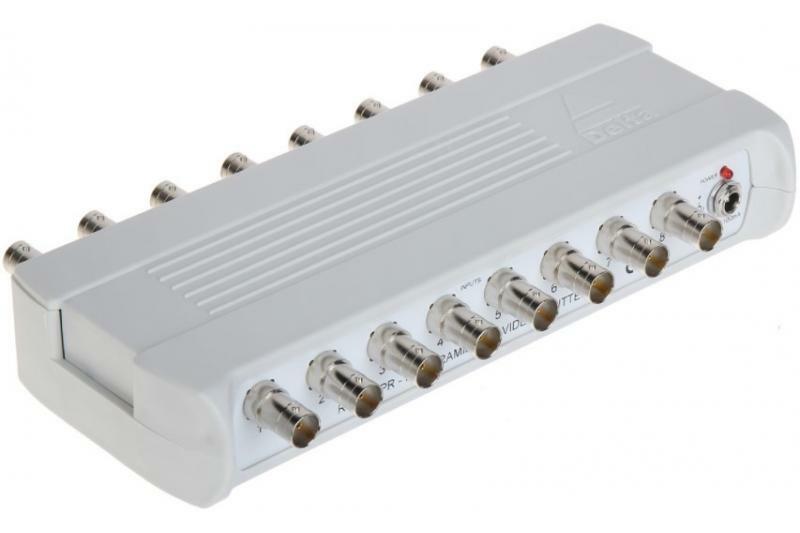 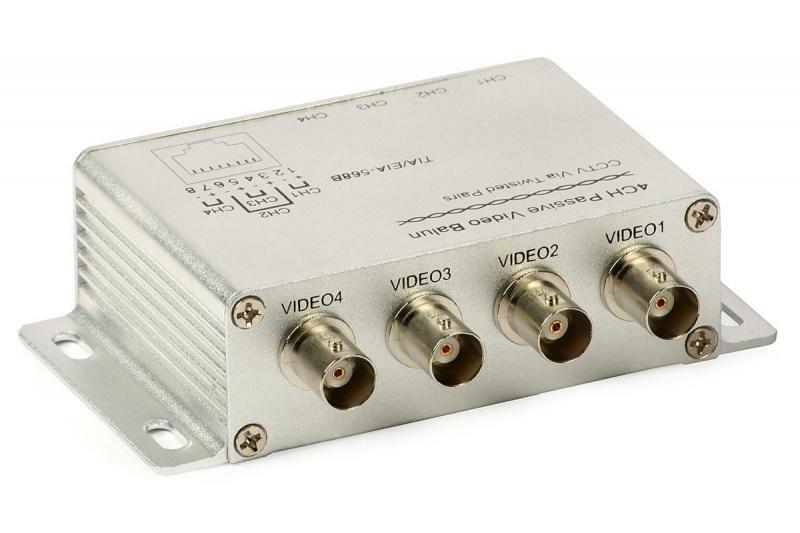 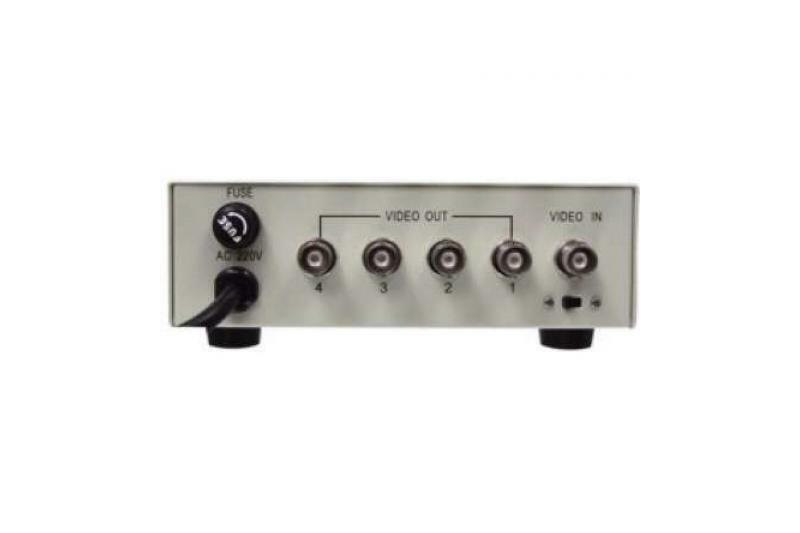 The ETRPOCP201 video and power transmitter/receiver set is used to power a security camera with 12 VDC voltage (max load 1 A) and transmit/receive the composite video signal over the same 75 ohm coaxial cable (RG-59 or higher quality) at a distance up to 800 m. The maximum distance of 800 m has been reached with the use of Camset and Triset-113 cables. 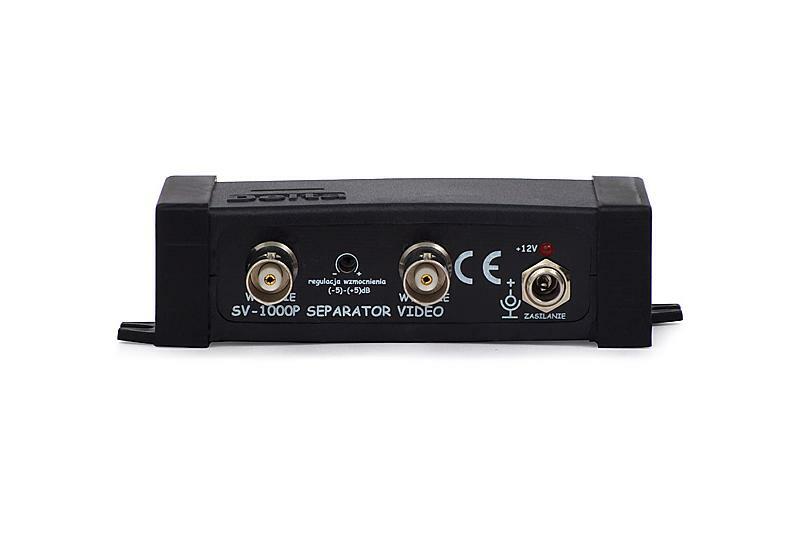 The unit A injects the supply voltage (36 VDC) from the included AC/DC adapter into the coaxial cable. 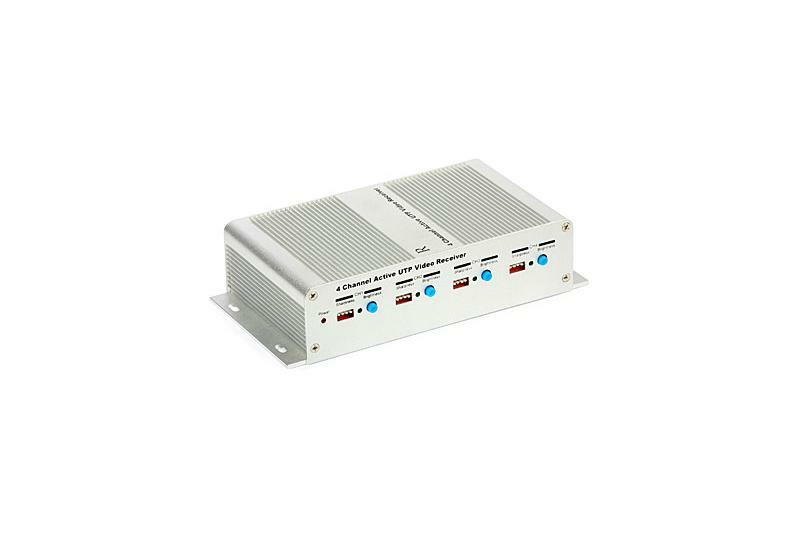 Depending on the load, cable and distance the tolerance of the input voltage is 24-36 VDC. 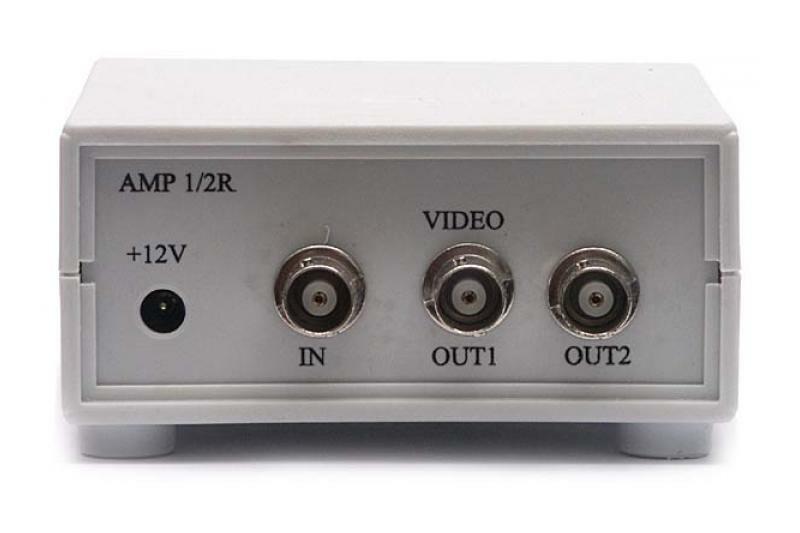 The unit B separates and regulates the output voltage for the CCTV camera (12 VDC standard) and adds the video to the transmission line. 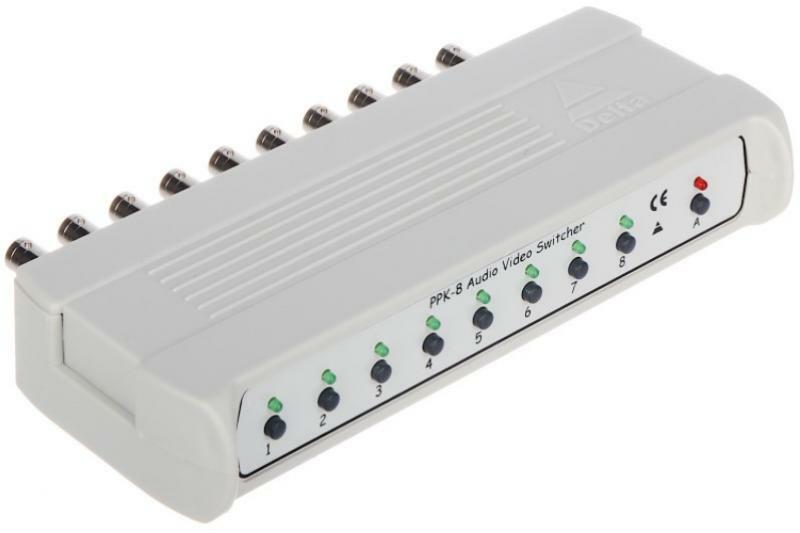 The set can be used for analog PAL cameras with 12 VDC supply voltage and total current consumption up to 1 A. 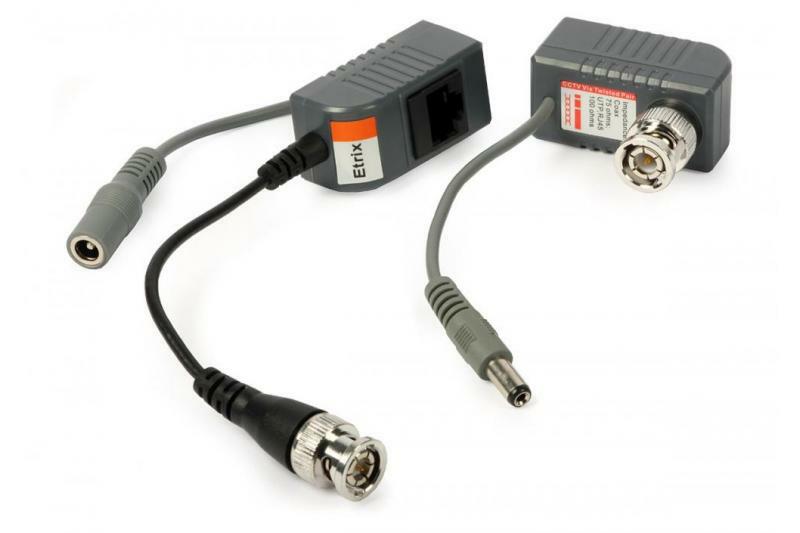 In short, the coaxial cable carries the power from the AC/DC adapter to the camera and the video from the camera to a DVR. 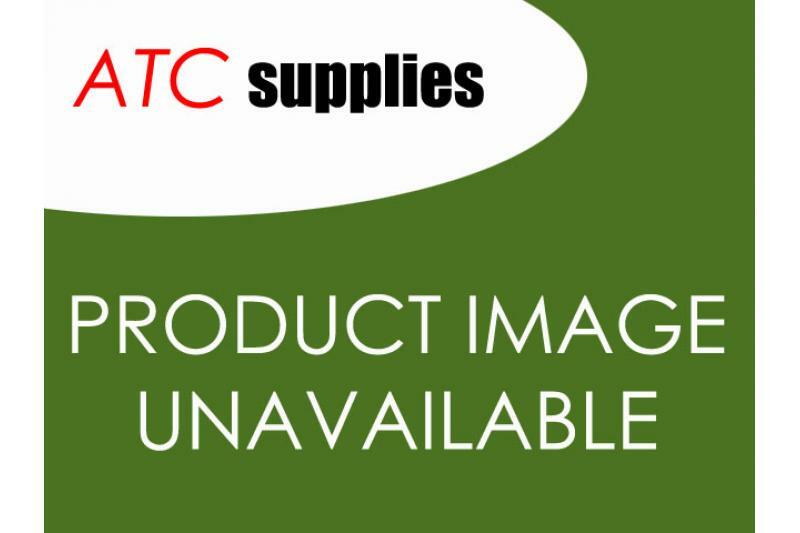 No substitutes can be used for any component of the original set! 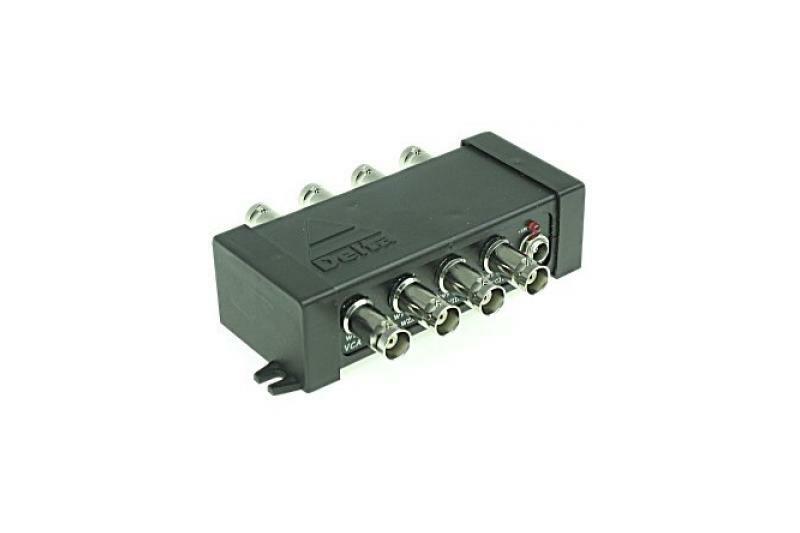 The set is intended only for coaxial cables with copper core. 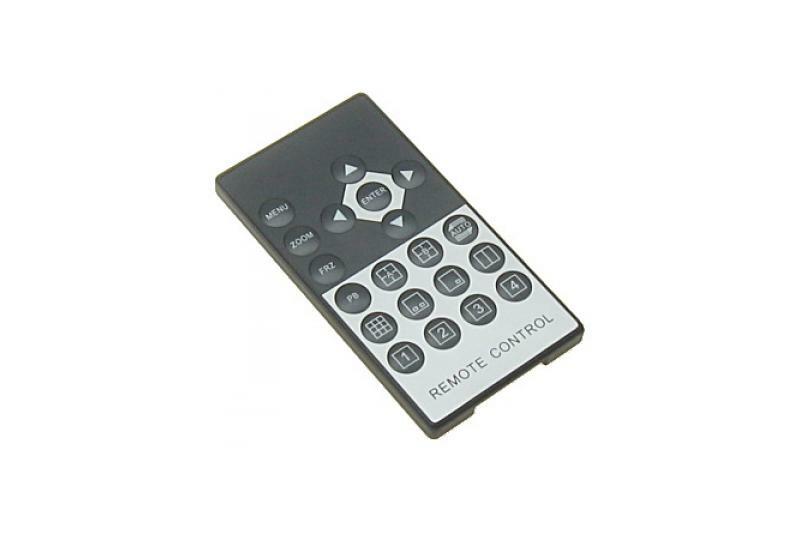 The components are designed for indoor use only and have to be protected from moisture and dust.